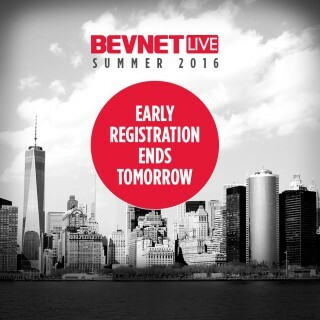 Tomorrow is the last day to take advantage of early registration pricing for BevNET Live Summer 2016. The two-day business conference will be held on June 14 and 15 at the Metropolitan West in New York, N.Y. and is the premiere business event for beverage entrepreneurs, suppliers, distributors, retailers and investors. If you are planning to attend, now is the time to register and save money. NOTE: Ticket prices will increase by $200/person after tomorrow.